I’ve been deprived lately. Deprived of decent food near my new working area, officially starting in the summer holiday months. 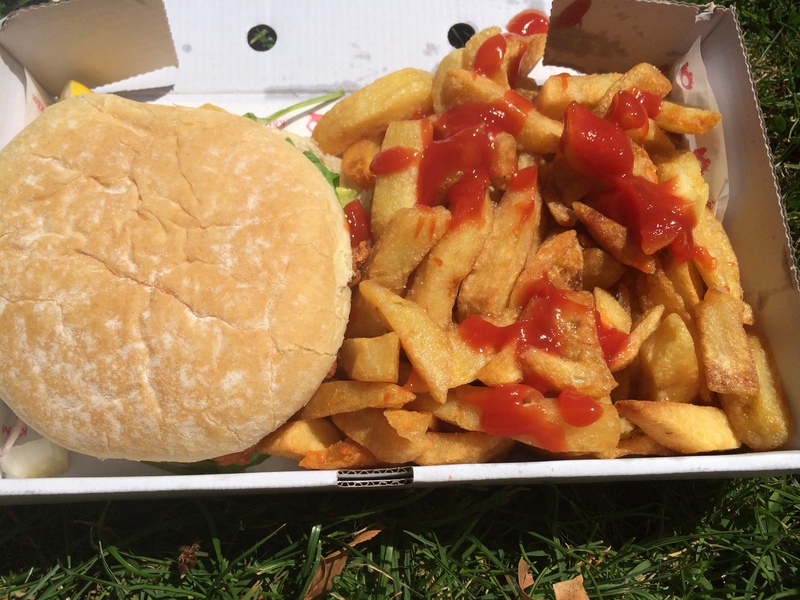 I walked the streets alone in disbelief along Shepard’s Road standard cafes and kebab shops. 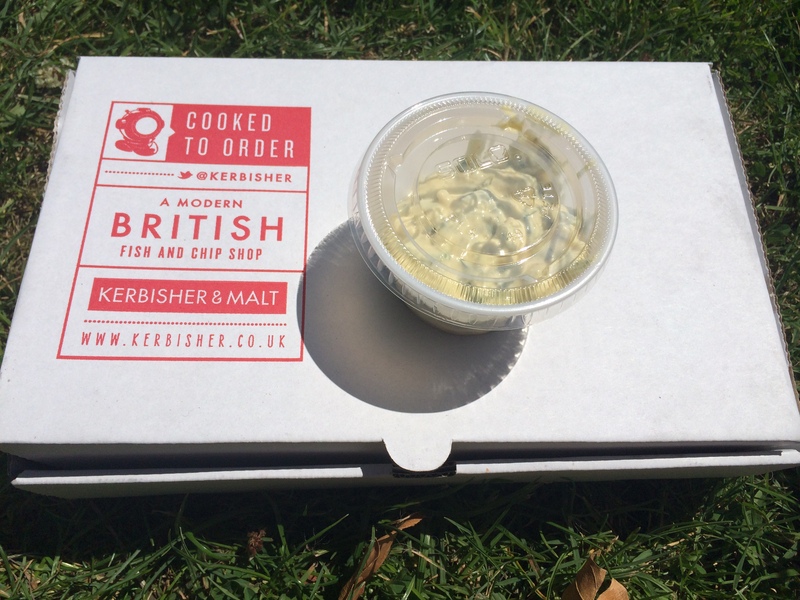 I worried about my food needs until I passed Kerbishar & Malt near Brook Green. This was before my discovery of the Havelock and Tavern in the area. Staring at the menu outside the shop front I looked into this fish and chips shop. Contemporary it claims, it’s different to the usual fish and chips spots. Minus the usual metal counters, and precooked battered fish hiding underneath heated lights. Every order is hand cooked by the chefs made to order. I decided to get the bargain lunchtime deals a choice of 3 specials for £4.50 or small fish and chips for £5. Craving for a fish burger, I ordered and waited for my takeaway. The menu is covered with quotes and testimonials from famous chefs and critics, I was looking forward to my meal. Walking out with a big smile on my face, I went to the local park, sat myself on the green grass. Admire the everlasting summer sunshine and worshipped my box of tasty delicious goods. The portion was freaking big, large perfect round buns, dusted with white flour. 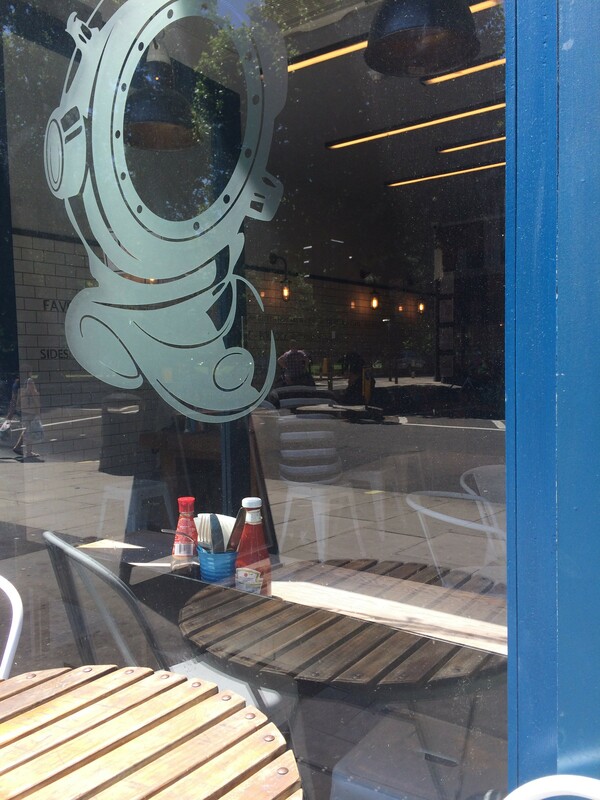 Picking up the fish burger, it was hard to eat like an elegant lady without it falling apart. The fillet of fish was like tasting a bite from the seaside, flaky fresh to death meat with a good bite of crunch. 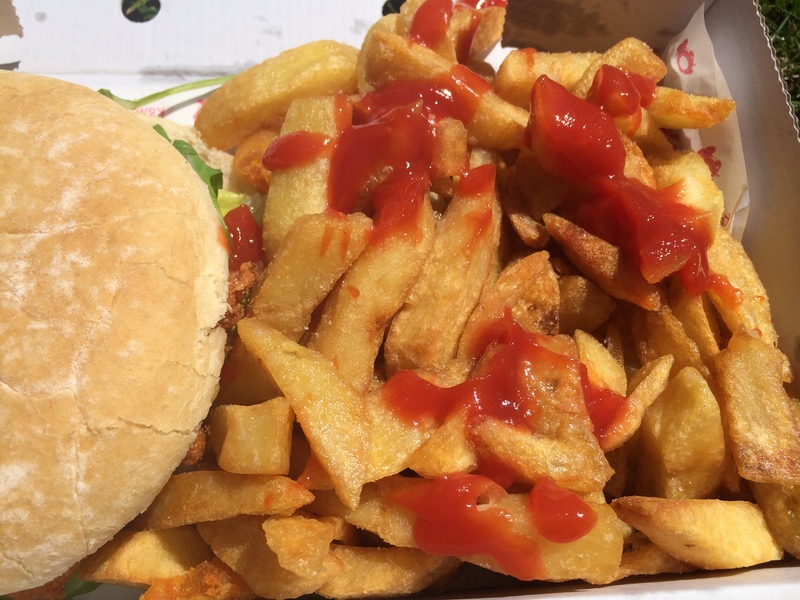 Check out that portion of chips, sunny golden double fried chips, so fluffy and crisp. The tartar sauce is also homemade, perfect with any of the fish choices you make. 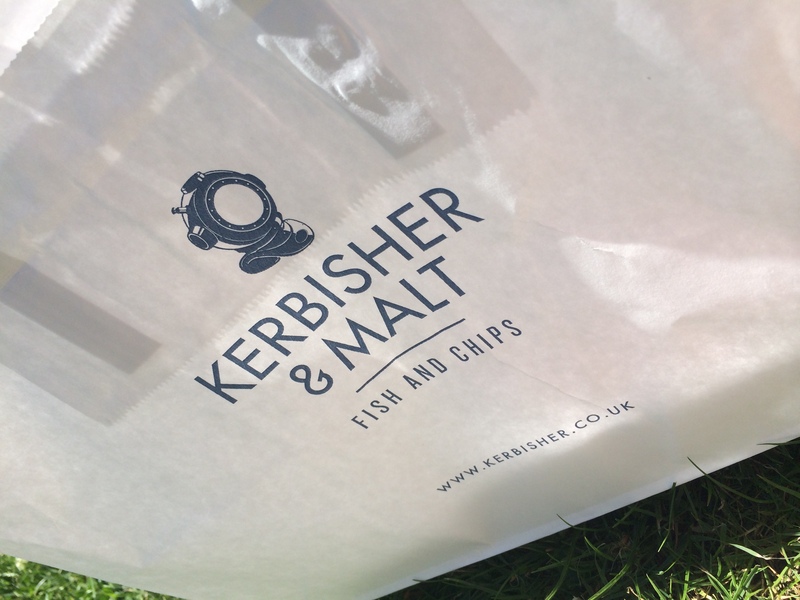 Kerbishar & Malt thanks for answering my prayers for a decent place in Brook Green to satisfy food crazed manic like me. I’ve been back many times, and frankly the lunchtime specials will fill you up.